TM King Philippe and Queen Mathilde of Belgium Host a Reception in Brussels. On the afternoon of Thursday, January 14, 2016, Their Majesties King Philippe and Queen Mathilde of Belgium hosted a reception at the Palais Royal in Brussels for members of NATO and SHAPE. 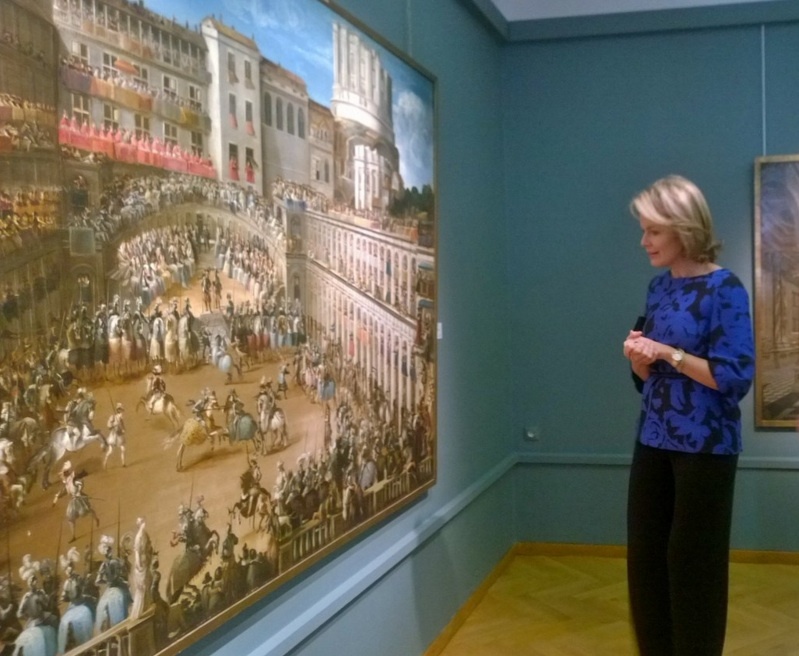 HM Queen Mathilde of Belgium Views an Exhibition at the Musée d’Ixelles. On Friday, January 8, 2016, Her Majesty Queen Mathilde of Belgium arrived at the Musée d’Ixelles in Brussels to view the exhibition, Nervia/Laethem-Saint-Martin: Traits d’union. This special exhibition showcases two Belgian arts groups that played an important role on the Belgian artistic scene during the interwar period: The Laethem group in the northern countries which included amongst others, Gustave Van de Woestyne and Valerius de Saedeleer and, in south, towards the Hainaut axis, Nervia, with Anto Carte and Léon Navez. These artists favoured a serene atmosphere and warm palette. Their works are brought together for the first time and reveal the numerous areas of convergence as well as the differences between the two groups. Curated by Ms. Catherine Verleysen from the Musée des Beaux-Arts de Gand and Mr. Michel De Reymaeker from the Musée des Beaux-arts Mons, developed the exhibition which emphasizes the similarities – of inspiration, form and technique – between the painters of Laethem-Saint-Martin and the Nervia group. They aimed to evoke a kinship rather than point out differences. As such, they require the viewer to call upon some traditional knowledge such as chronology, remembering the old days, different influences and generations. But beyond this, they require a desire to see, to observe and to be freed from constraint in order to better understand the image. Nervia/Laethem-Saint-Martin: Traits d’union will be open to the public until January 17, 2016 at the Musée d’Ixelles. Their Majesties King Philippe and Queen Mathilde of Belgium Hold a Reception at the Palais Royal. On the morning of Thursday, January 7, 2016, Their Majesties King Philippe and Queen Mathilde of Belgium hosted a reception at the Palais Royal in Brussels for members of the diplomatic corps accredited in Belgium. 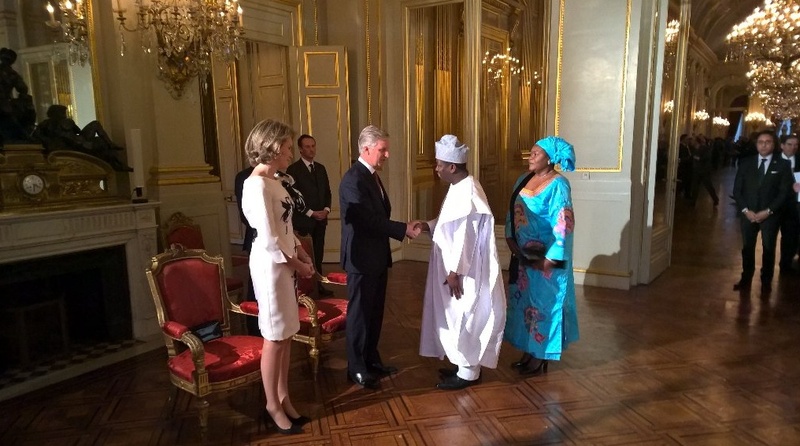 (VIDEOS) His Majesty King Philippe of Belgium Holds an Audience at the Palais Royal. On the afternoon of January 5, 2016, His Majesty King Philippe of Belgium held an audience with Belgian table tennis champion and Olympian, Mr. Jean-Michel Saive, at the Palais Royal in Brussels. Last month — December 3 to be exact — Mr. Saive, who participated in the Olympic Games seven times, announced his retirement from the international sports scene. 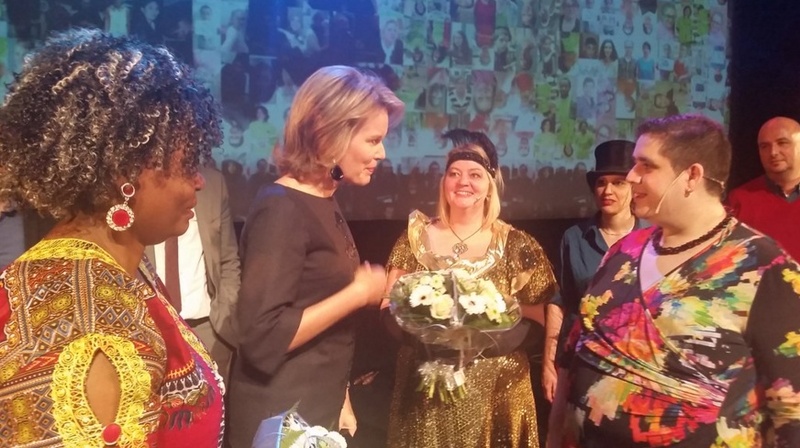 HM Queen Mathilde of Belgium Attends a Theatre Performance in Brussels. 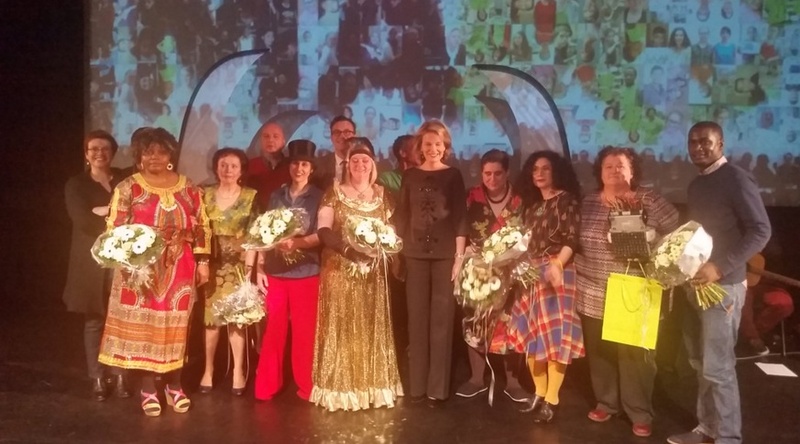 On Thursday, December 17, 2015, Her Majesty Queen Mathilde of Belgium attended a theatre performance of, Histoires is’t Waar! ?, in Anderlecht, Brussels, Belgium. This afternoon’s performance was held on the occasion of the 15th anniversary of the organization Digital Aktie Kureghem-Stad (MAKS). The organization provides young people the opportunity to develop their acting skills through various projects and performances as well as multimedia training. Members of the Belgian Royal Family Enjoy a Christmas Concert. 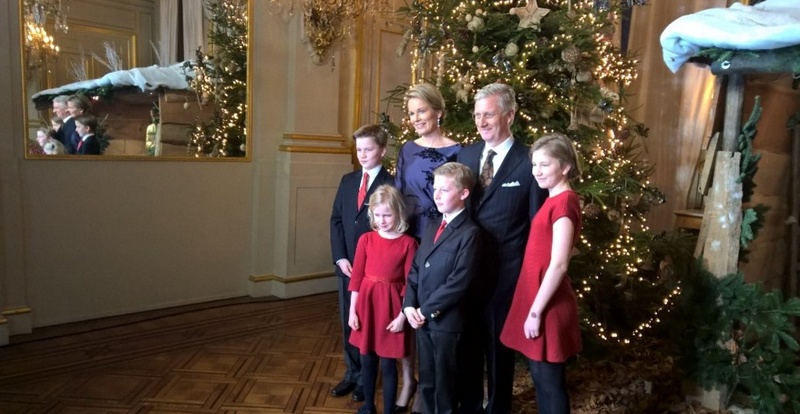 On the afternoon of Wednesday, December 16, 2015, Their Majesties King Philippe and Queen Mathilde of Belgium accompanied by their four children — Princess Elisabeth, Prince Gabriel, Prince Emmanuel, Princess Eleonore — enjoyed a Christmas concert held at the Palais Royal in Brussels. The royal family and guests listened to Georg Friedrich Händel’s, Messiah, performed by the Concert d’Anvers and the Vlaams Radio Koor under the direction of Mr. Bart Van Reyn with soloists from the Chapelle Musicale Reine Elisabeth.